This is an imaginative monkey song with funky Caribbean style music. It features five green monkey friends who count down from five to one then meet up again one by one until they are five friends together again. 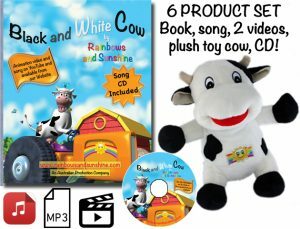 There are fun sound effects and a counting theme for little ones. Older children also love the animation, action, and the music. There are accompanying animated videos which feature five cute green monkeys and there’s lots of interesting scenes and action! They are great for littlies learning about numbers and counting, and children see onscreen what addition and subtraction actually means too. 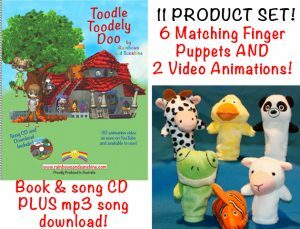 The audio mp3 song is fun for those times when you just want to play the song for the children to listen or sing along – available from the website or iTunes. And the video gives a whole new dimension to the song! There are two versions of the video available – an “original” version and a singalong version with the lyrics onscreen as the animated video plays. CLICK ON THE IMAGE BELOW TO PLAY THE VIDEO AND HEAR THE SONG AT THE SAME TIME! BELOW IS A SHORT PREVIEW OF SOME OF OUR VIDEOS – CLICK ON THE IMAGE TO PLAY. You can see more videos from the menu VIDEOS. We hope you enjoy hearing the songs and seeing the videos…Add to Cart to purchase this song at $1.99 and the videos are $3.90. Your purchase also goes directly to the Rainbows and Sunshine community donation program for underprivileged and sick children.